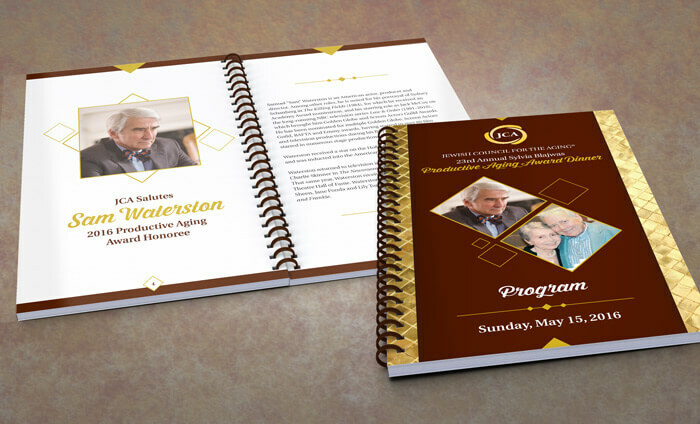 Background: The Jewish Council for the Aging’s Productive Aging Award Dinner is an annual event that supports the organization’s programs from sales of event tickets, donations or paid advertisements in the event program. The organization serves Washington, D.C., area senior citizens. 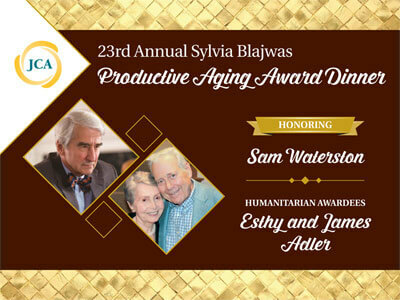 Problem: JCA was honoring Sam Waterston from “Law & Order” and “Grace and Frankie” fame plus two local humanitarians. 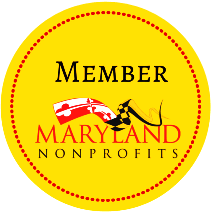 The organization needed a design that would entice people to attend, make a donation, or donate a product or service to the silent auction. Solution: The design is elegant and formal, in gold and dark burgundy-brown. 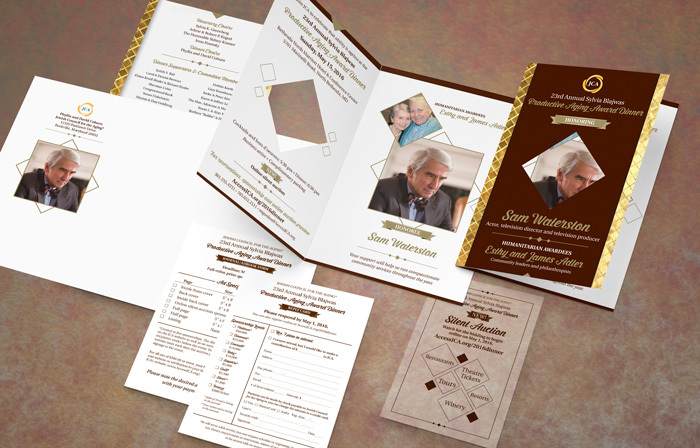 The invitation features a diamond die cut (cut-out) showing the photo from the inside and a metallic gold ink. 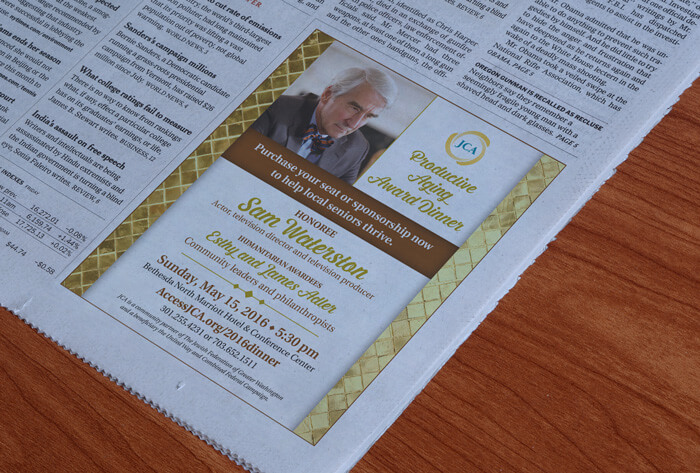 One of the inserts in the package was printed on translucent paper to stand out and highlight the new silent auction.